So you’re in a continuous improvement role in your company. Your job might be in process improvement or lean or some other related role. 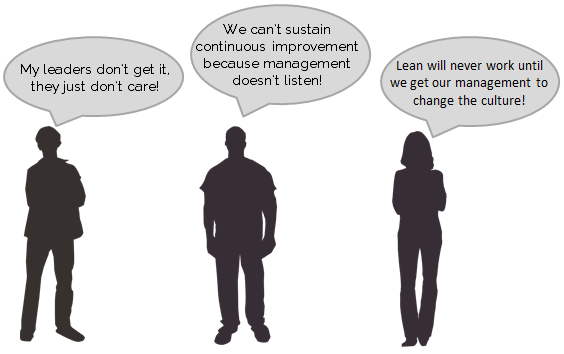 You are a believer, and you are totally convinced that your company needs to adopt a culture of sustained improvement. So how do you make this happen? 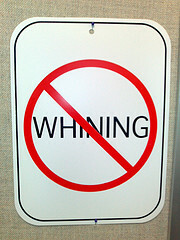 The first thing you do is stop whining! I have been in continuous improvement roles most of my working life and belong to many industry groups that focus on lean and continuous improvement. The whining is deafening! If your CEO walked into your office and sat down with you for 30 minutes, what would you say? What quantitative ideas would you share with the CEO? If the CEO said to you, "What are the top five things we need to do in the company in the next year to create a sustained culture of continuous improvement?” what would be your reply? Don’t waste their time! No jargon, no Japanese words, just plain speaking with actionable steps. Tell the CEO what you need from him/her and the rest of the management team. Tell the CEO that they need to walk the talk and walk the floor and give support. Tell the CEO what tools you need to succeed. Collaboration tools, software, visual boards, cross-functional teams, etc. Give examples of where this approach has succeeded in other organizations. Make sure that these examples are relevant. They should be from other organizations in the same industry sector or perhaps even competitors where they have a culture of sustained improvement that has had measurable results. If there is Return On Investment (ROI) information available, use it to support your case! Don’t talk down your leadership and their inability to establish a culture of continuous improvement, give them a roadmap of how to do it. Don’t wait for the CEO to come visit with you, go visit with them! Your role in the organization is vital to the success of the business - start acting like it. Ask for a meeting! Be bold, have complete conviction, talk in simple explicit terms and prepare to be measured. If you don’t think you can do that, you shouldn’t be in continuous improvement!